Patrick Watson’s albums have followed a pattern of subtle, beautiful song craft that combines his ethereal falsetto with lush soundscapes drawing on influences ranging from classical to electronic. The fifth album from Watson (the name signifying both the man and his band), Love Songs For Robots does the same, but also stretches the pattern and colores beyond the expected edges. Indulging some more experimental urges, Watson surpasses his prior efforts, the ornate but somewhat languid albums like the Polaris Prize-winning Close to Paradise and Wooden Arms. While the record is built around guitar and piano, it does employ more synths and electronic elements, making for a larger, more adventurous sound that marches directly in the opposite direction from its quieter, simpler predecessor Adventures In Your Own Backyard. The Montreal-based band recorded both at home and in Los Angeles, at the iconic Capitol Studios no less, and whatever cinematic impulses struck Watson (who regularly composes for film and television) this time called for stacking higher crescendos alongside insistent, urgent songs. In Watson’s lyrics—emotional, introspective, and vulnerable in a way that matches the music better than ever—lay clues to unraveling the provocative album title. The album isn’t overly electronic, or science fiction themed in any specific way, or an OK Computer-style treatise on the disconnect brought about by modern technology. Love Songs For Robots instead finds Watson singing more about quintessential aspects of human nature—hope, creativity, and what rises above mere mechanical cause and effect. The album’s two strongest songs seem very intentionally placed at its poles: the opening title track and the closing “Places You Will Go” arrive and depart with an eerie similarity. In between, however, the two songs assert themselves along very different lines. 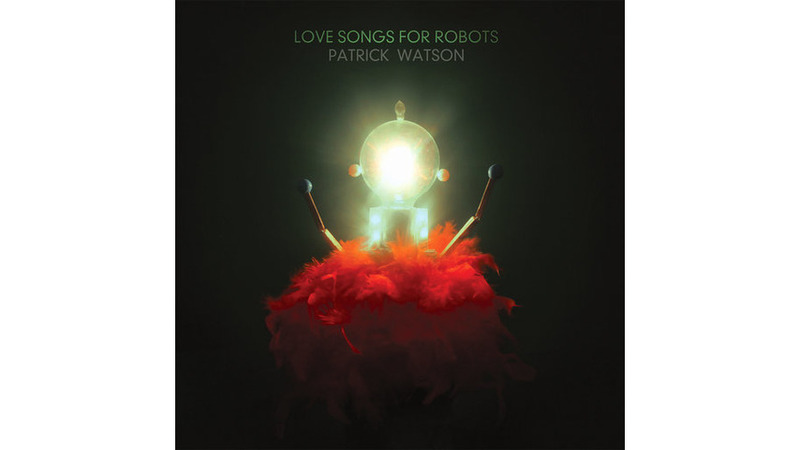 “Love Songs For Robots” has a calm austerity that draws the spotlight directly to Watson’s vocals, while “Places You Will Go” packs more musical muscle and variety around the singer. Other standout tracks include the spacey “Bollywood,” the soulful “Grace,” the calming “Hearts,” and the mesmerizing, seven-minute “Know That You Know.” But in sequence, Love Songs For Robots is an album that places every song carefully in line. And as a satisfying internal logic begins to emerge, it’s clear that Watson has outdone himself on this ambitious and endearingly strange album.